Expanding Branding were commissioned by Coca-Cola Beverages South Africa (CCBSA) to implement a Coke Zero Sampling campaign which ran from May – December 2017. 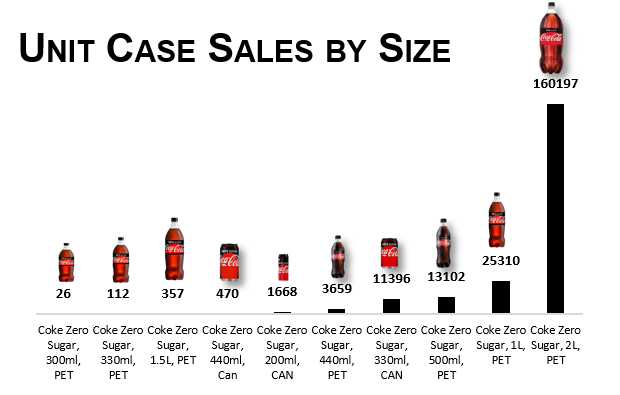 The Objective of this campaign was to introduce as many shoppers as possible to Coke Zero Sugar. To highlight the Product Benefits: Contains Zero Sugar; New Improved Taste; Tastes more like Coke. To encourage calorie conscious consumers to taste and buy the product. To remind consumers that Coca-Cola is a drink for everybody. To incentivize shoppers at Month End by rewarding them with a Free Gift. During the month product is on price promotion. Our promoters had to engage with 300 people, sample to 250 people & sell at least 60 x 2L’s per shift. There were various novelties available at month end when foot-traffic was increased in stores nationwide. The novelties included ear buds, cooler bag, key-ring, etc. 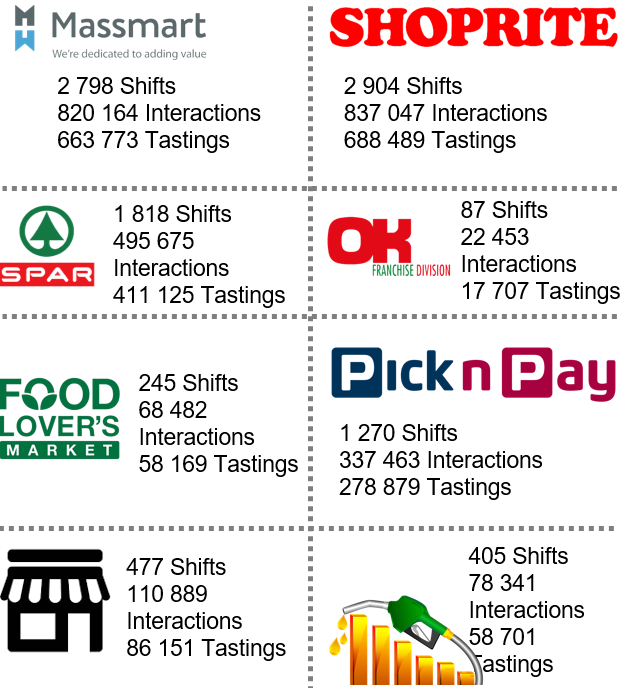 This campaign had a variety of shift types, ranging from In-store (TEG), Petrol Stations (PFM), Local & Traditional Outlets (L&T), Independent Wholesalers (IWS), Liquor Stores (LIQ), Women’s Interest Groups and Outdoor Events. Our Target Shifts were 11 000 in the space of eight months, we ran 10 970 shifts. Our Target tastings in those eight months were 2 500 000 people, we managed to interact with 3 159 352 people & sample to 2 572 434 of them. We exceeded our target by over 72 000 people. This campaign had a variety of shift types, ranging from In-store (TEG), Petrol Stations (PFM), Local & Traditional Outlets (L&T), Independent Wholesalers (IWS), Liquor Stores (LIQ), Women’s Interest Groups and Outdoor Events. Our Target Shifts were 11 000 in the space of eight months, we ran 10 970 shifts. Our Target tastings in those eight months were 2 500 000 people, we managed to interact with 3 159 352 people & sample to 2 572 434 of them. We exceeded our target by over 72 000 people. Many of the shoppers said that the product no longer has a lingering after-taste & people were pleased with the new packaging. Many consumers enjoyed receiving a novelty at month end. The Coke Zero brand gained significant traction in the TEG market & people would like to see the teams back in-store soon.